All You Ever Think About Is Bloody Golf! All You Ever Think About Is Bloody Golf! 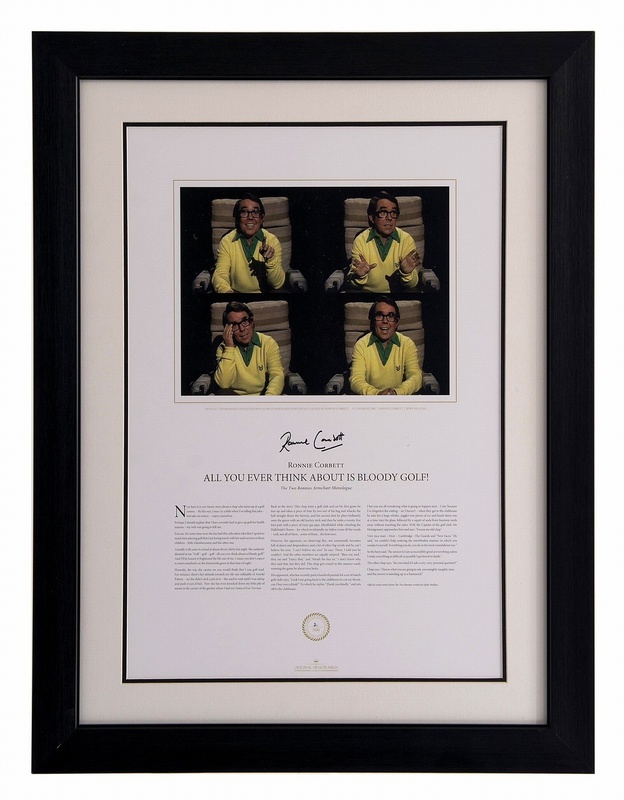 Ronnie Corbett's famous armchair monologue captured in print forever! 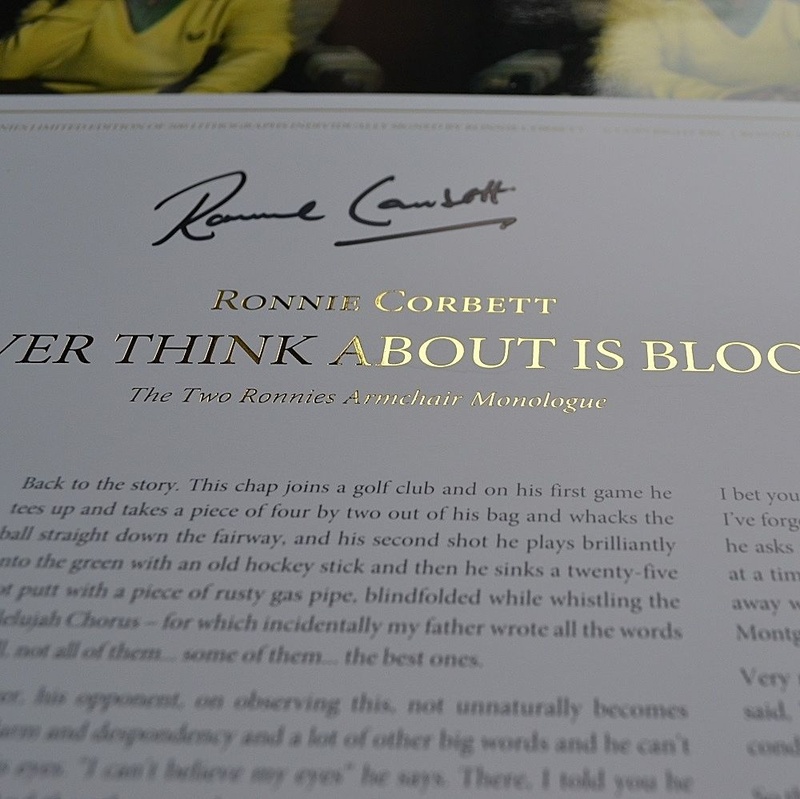 Ronnie Corbett's famous armchair monologue captured in print forever! 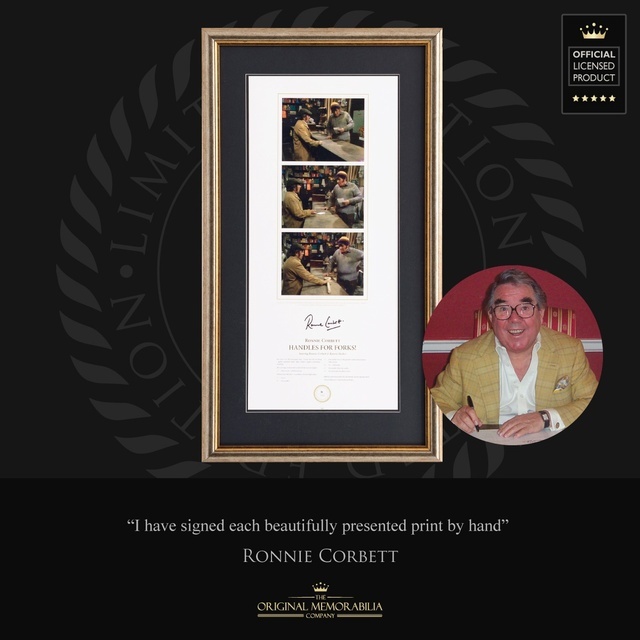 For the first and only time the late great Ronnie Corbett has authorised and signed this wonderful limited edition. 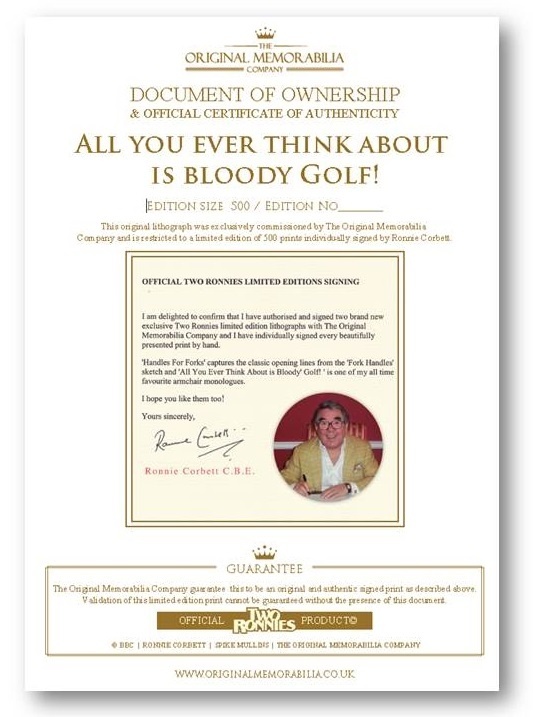 Beautifully presented with 4 Official BBC screen stills and the complete script to one of Ronnie Corbett's favorite ever armchair monologue about a golfer who found golf too easy! Including great lines such as ..it all came to a head at about eleven-thirty last night. She suddenly shouted at me "golf, golf, golf - all you ever think about is bloody golf!" And I'll be honest it frightened the life out of me. I mean you don't expect to meet somebody on the fourteenth green at that time of night! 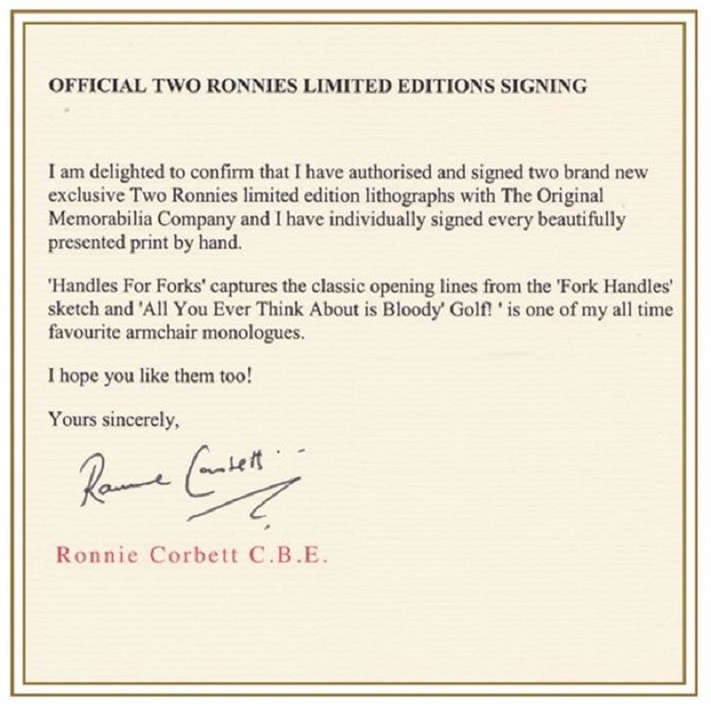 This is a fully authorised and approved Two Ronnies limited edition commissioned and published by The Original Memorabilia Company. Full copyright information is discretely credited on each print. 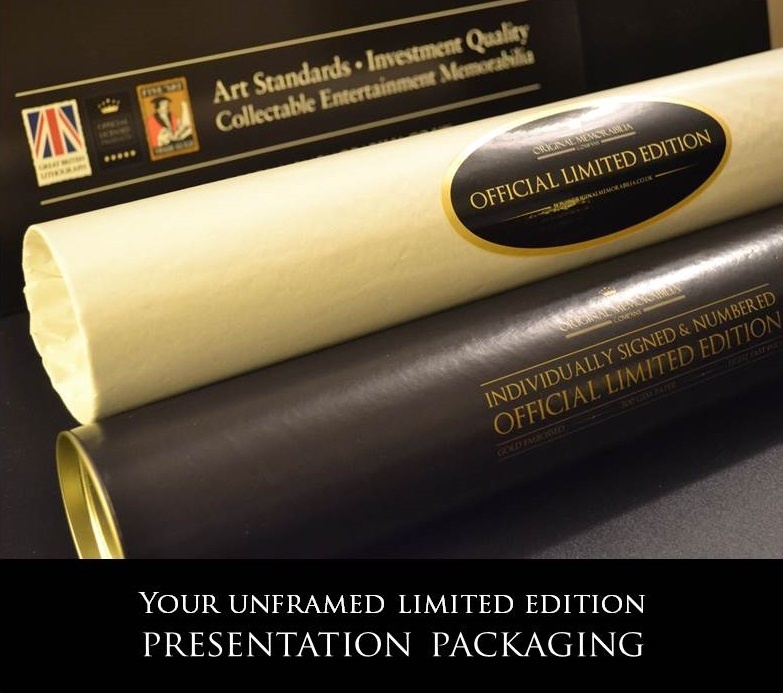 Printed to art quality standards using light fast inks and gloss varnished images on heavyweight archival quality ISO9706 approved 300g stock, each large hand numbered lithograph print has the subjects name and title embossed in beautiful gold block giving a gold leaf finish to your purchase. 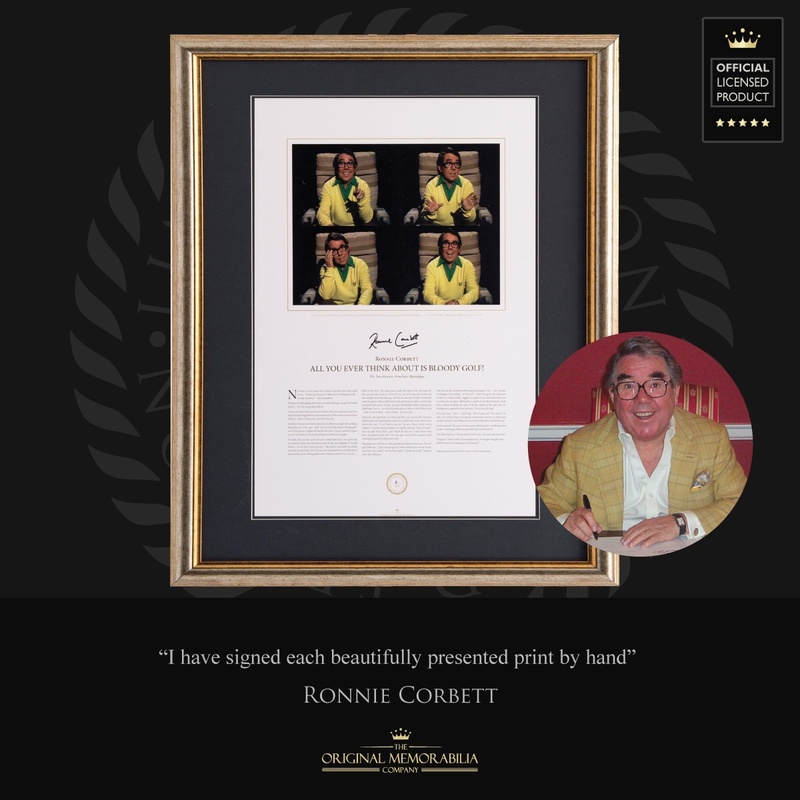 Every single print in this edition has been individually and personally signed by the subject Ronnie Corbett in high density black ink and is signed 'Ronnie Corbett'. Each piece carries a Gold Limited Edition Seal with the number 500 confirming the size of the edition. Your unique print number is then entered by hand. For example 1/500. 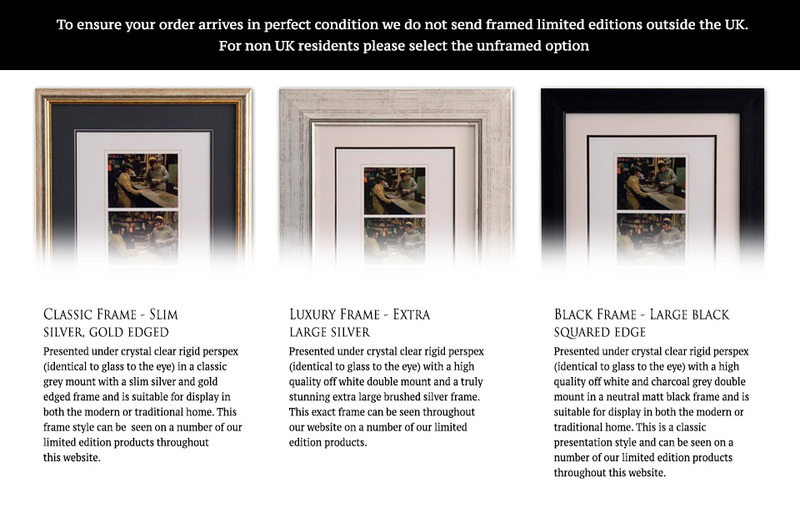 In addition to a strict limit of 500 prints your purchase is further safeguarded by our unique Document of Ownership & Certificate of Authenticity that is provided with every purchase. See Authenticity.